The Industrial Development Authorities of the City of Tucson and Pima County (IDAs) offer down payment assistance to homebuyers in Pima County. Community Investment Corporation (CIC) is the program administrator for the program and provides the down payment assistance on behalf of the IDAs. Homebuyers receive between 2.5% and 5% down payment assistance. To see a list of program requirements, including income and FICO score requirements, visit the Pima Tucson Homebuyers Solution (“PTHS”) website. Down payment assistance is requested through participating lenders. To find a list of participating lenders visit the eHousing website and click on the Participating Lenders tab. The lender will request down payment assistance from CIC if you meet the program requirements. 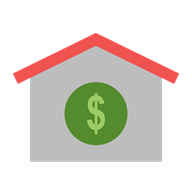 PTHS down payment assistance may be combined with a Mortgage Credit Certificate and the HOME down payment assistance program.